It was an exhibition in Berlin, recording memories of the war. Sometimes I wonder how people dissolve the hatred in our heart. We never hate our enemies away; we love them away. After some days, you will realize that everything you encounter is just a process. You have always been brave. Even you feel painful now; once you overcome the difficulties, you will find yourself much stronger and more beautiful. It is the glance of light give the painting life. 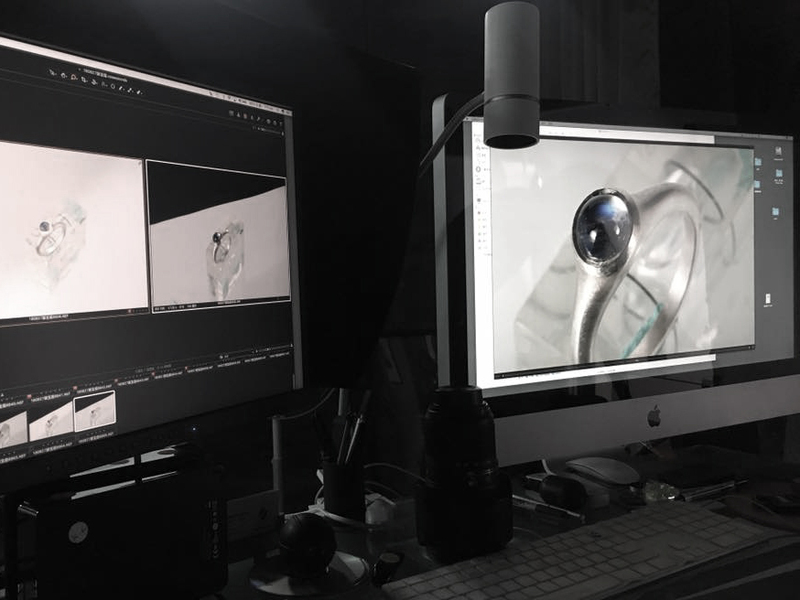 while shooting the jewelry photos in the studio, some sketches are sending at the same time, and that evokes my curiosity. So I ask the photographer, "Even the published illustrations are taken with photography? Why people don't just scan them?" "Well. of course people can scan the paintings, using a scanner can make the result very precise, it collects all the color information. Nevertheless, the painting could look flat and boring. But if you shoot it with the camera, we know where to put the light on, and it is the glance of light give the painting life. " Because there's no clock in heaven. In my days in Italy, I was fortunate to have a very gentle kind landlady. We talked a lot, shared everyday stories, it was one of the most precious moment I own in my studying life. "So when will grandpa back? " "He won't come back, my dear, grandpa will stay in heaven, it's a beautiful place." "What if grandpa gets older and no one takes care of him?" "Oh, my dear, he won't get old anymore, it is a special place. People won't change much there. It is a peaceful place." "mom, do you know why grandpa won't get older in heaven?" "Because there's no clock in heaven." he smiled and walked away. Dear Ting, you know what? We always think kids are naive and understand nothing; nevertheless, there is always a moment that they say the words which are so intelligent unexpectedly, make me feel they know much more than me." "Blue is like riding a bike...when the wind hits you in the face." "There was once, when we were young, we like to add things in our life. We keep adding adding adding and adding until one day, we feel there's too much, too noisy in our surrounding.